‘Whimsical scientist’ Kurtis Baute is locking himself in a small, air-tight cube for the next three days to educate people about climate change. At midnight Wednesday, the Comox Valley man will lock himself in a 10x10 biodome -- a closed ecological system -- and is inviting viewers to follow him live on Twitter and his eponymous YouTube channel. Baute has loaded the mini-greenhouse with plenty of plants and is counting on the oxygen they churn out to keep him alive. “In that entire time (since then), I've kind of been wondering: what would happen if you tried to make a jar big enough, just big enough that a human could live in it? And what would that look like?” he said. But the whole stunt is for a noble goal. “I am trying to get the message out about climate change in a way that's engaging but not disturbing,” he said, adding that he’ll be checking on the plants, making videos and even tweeting throughout the whole experience. While Baute is inside, he’ll have a series of monitoring equipment so he can track his own vital signs but he’ll also have family and friends checking up on him periodically. One of those people will be paramedic Mark Van Eijk who says he’s not taking any chances. “Kurtis has oxygen and carbon dioxide sensors set up in the box just for atmospheric level … and we also have a sensor that’s going to monitor the amount of oxygen in his blood,” he said. Van Eijk says that because “it’s a confined space situation,” they have to monitor the greenhouse’s oxygen and carbon dioxide levels closely. Based on how small the confined space is, it could drive anyone, including Baute, a little stir-crazy. He's using the hashtag #KurtisInAJar for people to ask him questions and keep track of his progress. Similar experiments have been done before like the massive Biosphere 2 project in Oracle, Ariz.., where eight scientists were sealed inside to see if humans could survive in a closed environment, back in 1999. 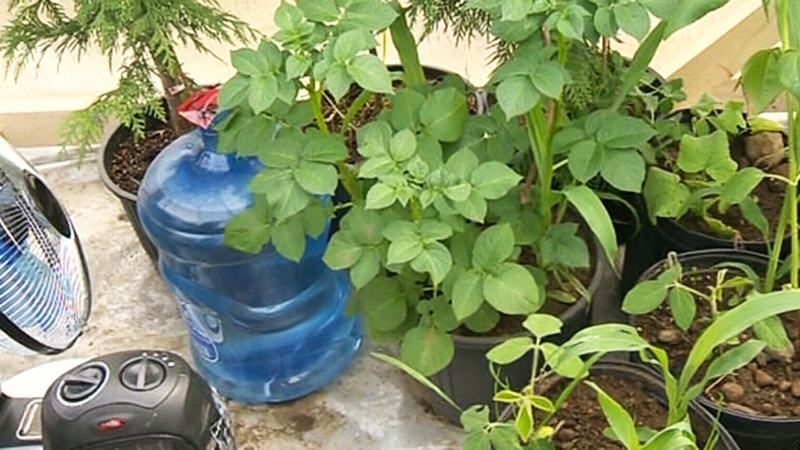 The project failed when low oxygen levels began to affect the participants’ health and they discovered that they weren’t able to produce as much food as they had hoped. “Environments are complicated things and we still don't understand them as well as we need to considering how much we're impacting them,” Baute said. 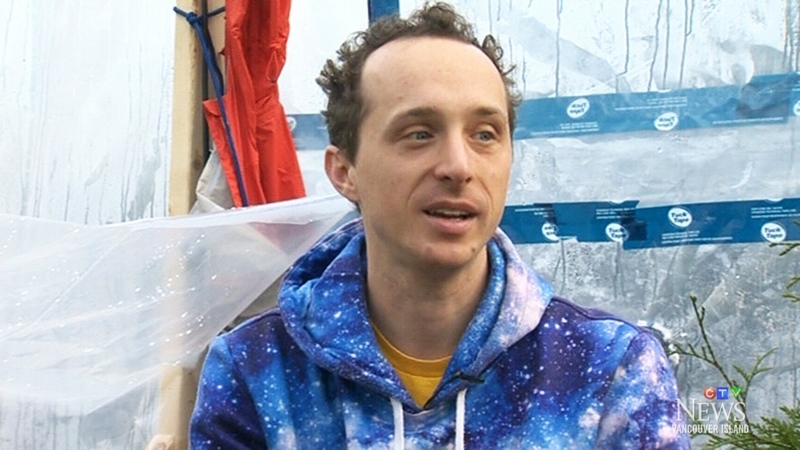 YouTuber Kurtis Baute is locking himself in a small, air-tight greenhouse for the next three days to educate people about climate change. At midnight Wednesday, the Comox Valley’s whimsical scientist will lock himself in a 10x10 biodome —a closed ecological system— and is inviting viewers to follow him live on Twitter and his YouTube channel. 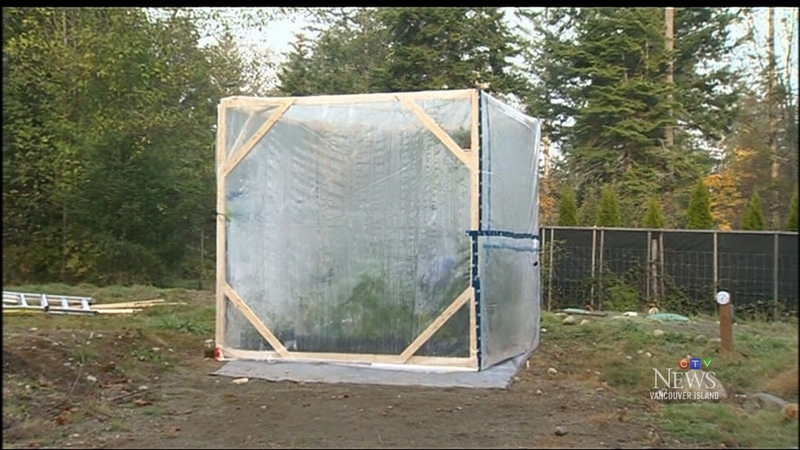 Kurtis Baute has made sure the stuff his greenhouse cube is filled plants to produce enough oxygen for him to breathe normally.